Designing mobile apps is somewhat different to websites and we have the necessary skills and experience. 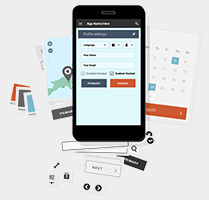 As well as mobile designs, we also offer tablet app design as some apps need to work on both mobile and tablet. Our designs are optimised for how the app is going to be used and on what range of devices it will be deployed. We code our mobile apps utilising the Xamarin cross-platform system – this saves time vs. other approaches as code can be re-used for Apple and Android versions of the app. We test our apps across simulators and popular real-world devices such as iPhones and the latest Android phones. Apps we develop are available for private testing by the client and we ensure the app store guidelines have been followed to improve acceptance. There are a growing number of ‘smart devices’ and we a proud to be working with latest technologies including Amazon Alexa skills and smart watches apps. We very much embrace ‘the internet of things’ (IOT) and also have experience with smart homes – the devices, configuration and setup. 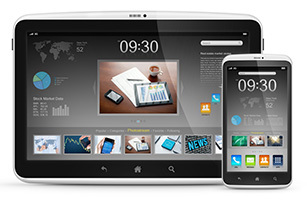 As with websites, once a mobile app is developed it needs on-going support. Most apps are reliant on a cloud services to store data and we provide high quality hosting for this. We also assist with on-going amends and updates to your app. Got an idea for a mobile app and want to talk further?